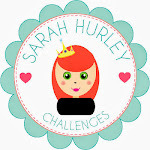 Sarah Hurley 365 (Formerly Sarah Hurley Challenges): Super quick Valentines Day Card! Hello, and Happy Saturday! It's Carol here today and a wee while ago Sarah asked us to have a wee think about things we could do on the blog, one of my ideas is "10 Minute Makes" and the other will be revealed on the 1st of February! This is a super busy birthday weekend for me, but I thought I would share a very Clean & Simple Valentines Day Card with you all. Though it can be used for any occasion to be honest. 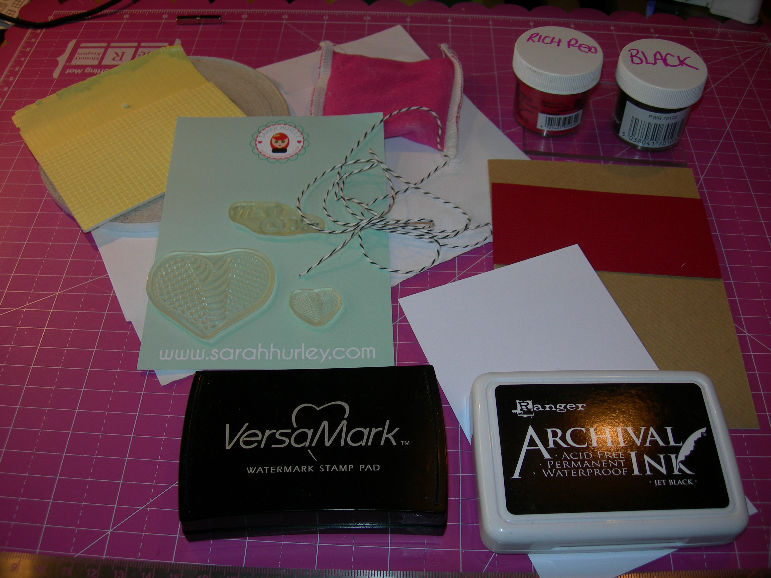 I will take you through the various steps I used to make the finished card. 1 here is my assortment of pretties that I used. I find it easier to look things out first once you have an idea. 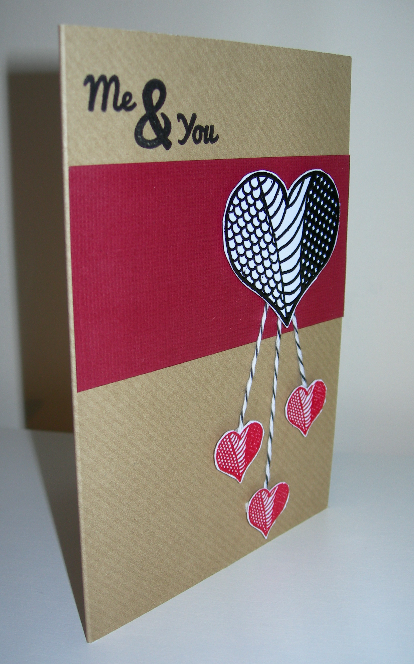 2 Wipe your piece of white card with your anti static bag, stamp your Zendoodle Heart from the Zendoodle Fashion Stamps with Perfect Medium Ink or whichever embossing ink you have. 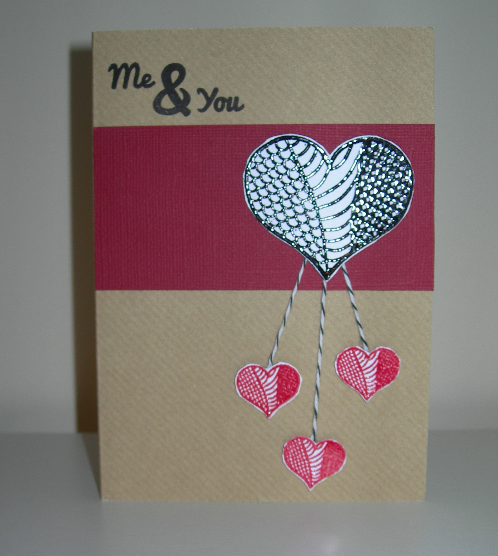 Stamp them onto your card, cover with embossing powder, tap off the excess and heat. 3 Measure a piece of red card as a banner across the card, roughly place your hearts where you would like them and add some bakers twine to make them "dangle" from the big heart. 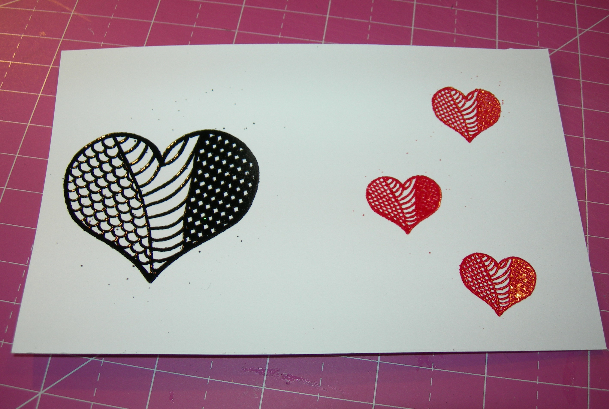 Place some foam squares behind the hearts to give you some depth and dimension. 4 Stamp the "Me & You" sentiment from the Sentiments Stamp Set using black ink and there you go. 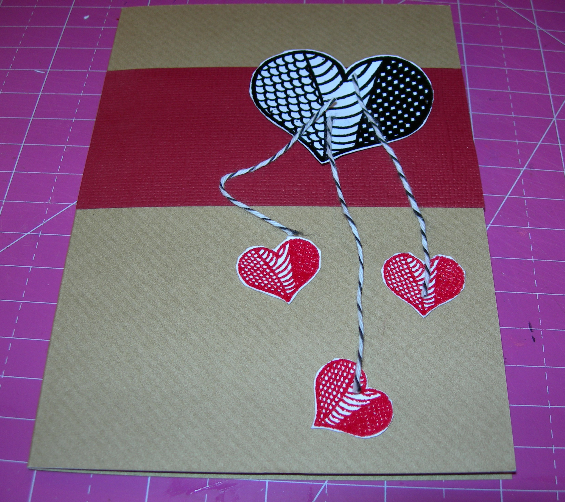 Card Blank, red card and bakers twine from stash. Thanks for popping by today and I hope this inspires you to try heat embossing, a 10 minute make, a clean and simple card or all three. Fab Carol, I love your 'Quick Makes'. These will help me out loads, my so called '' quick cards'' , see me still sitting there 1 hour later....LOL!